The Independent Garage Association (IGA), part of the Retail Motor Industry Federation (RMI), is the largest representative body for independent garages in the UK. Until now the IGAs web presence was as a sub-domain of the main RMI website. But in order to grow membership and strengthen the brand the RMI decided the time had come to launch a standalone website with improved functionality and the ability to support a growing number of members. We custom designed a distinctive, branded frontend supported by an ExpressionEngine backend. This is an ideal platform for an enterprise client as it allows users to easily manage huge amounts of data, assigning it to multiple categories (news, case studies etc) and then presenting all the relevant information in one place, which improves page conversion. Because of the information architecture it is also far less vulnerable to malicious attack, which is why Barak Obama’s website to support his last Presidential campaign used ExpressionEngine. 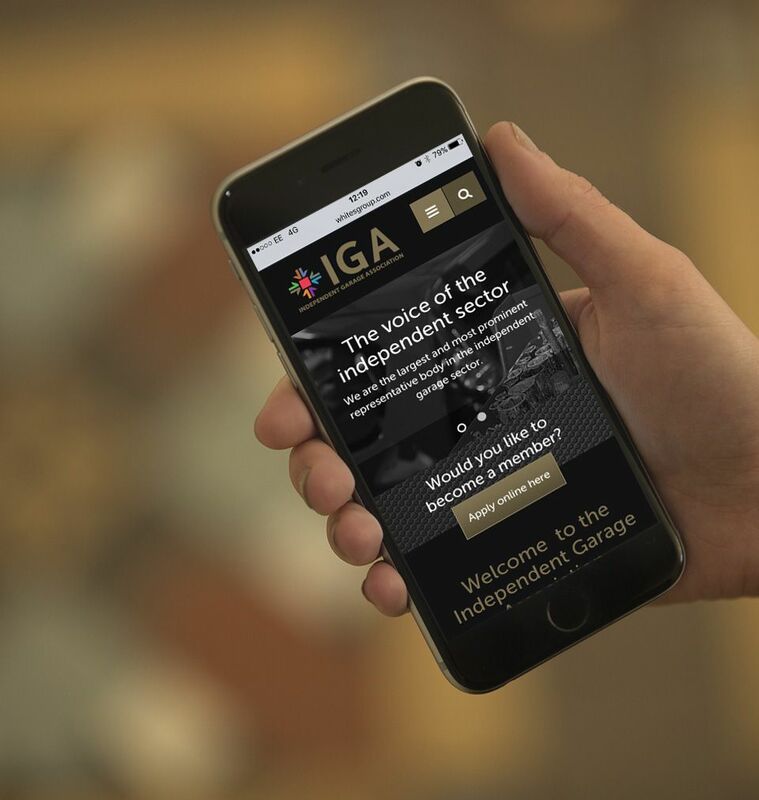 The IGA website has a members’ area with a large amount of resources from documents to videos, some behind a user logon, which can be accessed via a category hierarchy, drop down filter or keyword search form. To make it easier for the client to upload external files and update data for members on the site we incorporated an automated member importer, which could also be used to import other forms of content and data. We incorporated a dynamic newsletter module that creates emails using a template in the backend, which we then integrated with Mailchimp. This means that newsletters can be quickly and easily populated with content and member data from the site’s database, improving their direct marketing offering. We custom designed a distinctive, branded frontend, supported by an ExpressionEngine backend. This is an ideal platform for an enterprise client.